If partners take an active role, Facebook’s big announcement can help missions. On January 11, 2018, Mark Zuckerberg announced on Facebook to its 2 billion users that he is returning Facebook to its roots. The Facebook founder called it “time well spent” to return to helping, “… people stay connected and bring us closer with the people that matter to us.” While different organizations greeted this news with a variety of reactions, this change is great news for international workers, partners and churches! Until now, WorldVenture partners and churches easily enjoyed reading updates, viewing videos, and prayer updates about international workers from their personal Facebook feeds without any extra effort. According to Zuckerberg, “… watching video, reading news or getting a page update is just a passive experience.” Zuckerberg is taking a business risk by deprioritizing businesses and non-profits like WorldVenture to restore a more personal online experience on Facebook. His announcement cost his company $3 billion dollars–that’s billion with a “B”—precisely because it concerns anyone using a Facebook “Page” for promotion, advocacy, or business. But this change must spur mission organizations to adapt social media as part of their global strategies. In line with the vision of partnering with current and potential partners in the global vision, like Southwest Church Connection, I facilitated a workshop for pastors and ministry leaders at Desert Springs Community Church on January 9, 2018 detailing how to develop online outreach teams. The workshop featured Dr. Larry Stucky via video conferencing who generously shared his research on the people groups in Phoenix, Arizona. He talked about the different cross-cultural restaurants and shops on Facebook and the people that have conversations on those Facebook pages. We explored how identifying one’s neighbors helps prepare a church to develop their online social media teams to intentionally connect to a people group via online conversations and face-to-face encounters. And we connected the dots between online community and the face-to-face world, also suggesting partnerships with mission organizations like Worldventure to aid their global vision. With Facebook’s new algorithm, the world of social media now must include partners and international workers in its marketing plan. When Zuckerberg made his announcement, I felt joy. This means missions agencies, international workers, partners and churches will need to team up together in worldwide missions via digital outreach. Adapting to this new algorithm will be rewarding, but also challenging. As Mark Zuckerberg said in his announcement, “recently we’ve gotten feedback from our community that public content — posts from businesses, brands and media – [and that] is crowding out the personal moments that lead us to connect more with each other.” Missions is personal, but how do we make it personal to the church and her people? How do we inspire an excitement for what God is doing in the world through Facebook while helping mission organizations grow their influence? Jeff Denlinger, President of WorldVenture, recently shared our new vision statement: “We see multitudes of disciples compelled by the love of God and willing to risk all so that people are transformed by God, impacting families, communities, and the world.” And we want to see that all over the world, including on Facebook. Facebook changes will force organizations like WorldVenture to depend more on our partners to help share the Gospel online, communicate prayer requests for international workers, and express the excitement of participating in God’s plan by getting more involved. 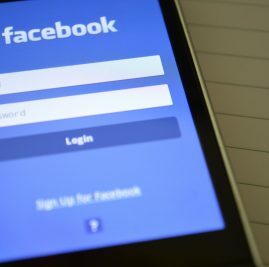 The new Facebook changes will force Christians who use social media out of a passive online experience to a more strategic, active engagement. But together, we can truly partner with churches and organizations like WorldVenture in reaching the unreached, the unloved, and the unchurched through social media. And that’s the best announcement of all! If you would like more information on how you can partner with WorldVenture and its global mission, please reach out to us, because we don’t just want to hear from you… we NEED to hear from you. And let’s take our own advice right now: Please post your thoughts on this at facebook.com/worldventure. Nikole is an appointee with WorldVenture. You can learn more about her work or become a partner by clicking this link.